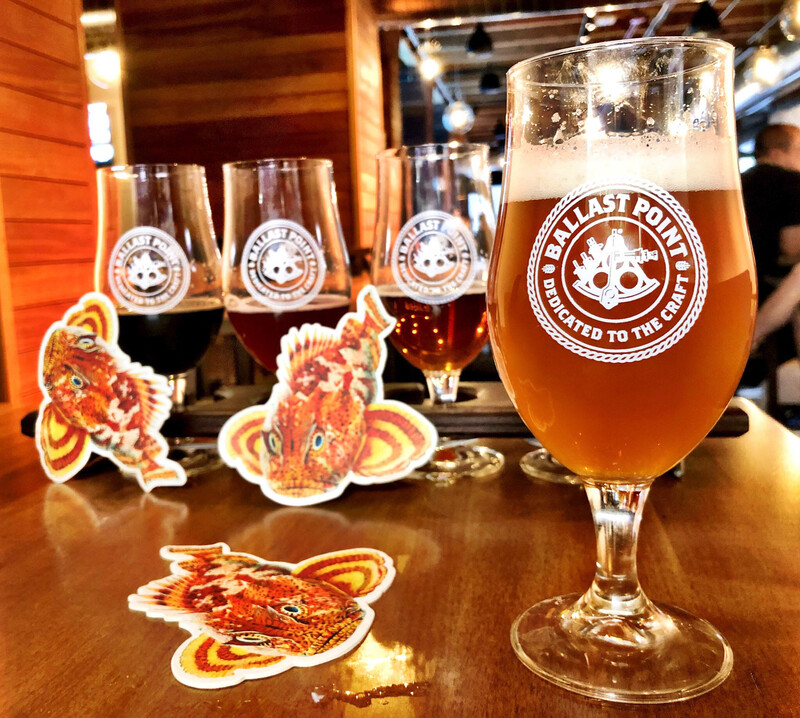 Ballast Point Tasting Room & Kitchen in West Loop is the ninth location for this San Diego based juggernaut. Disneyland is under way; and the Virginia facility is actually bigger than the original California brewhouse. This new Chicago location includes a rooftop space and has room for 250 guests. 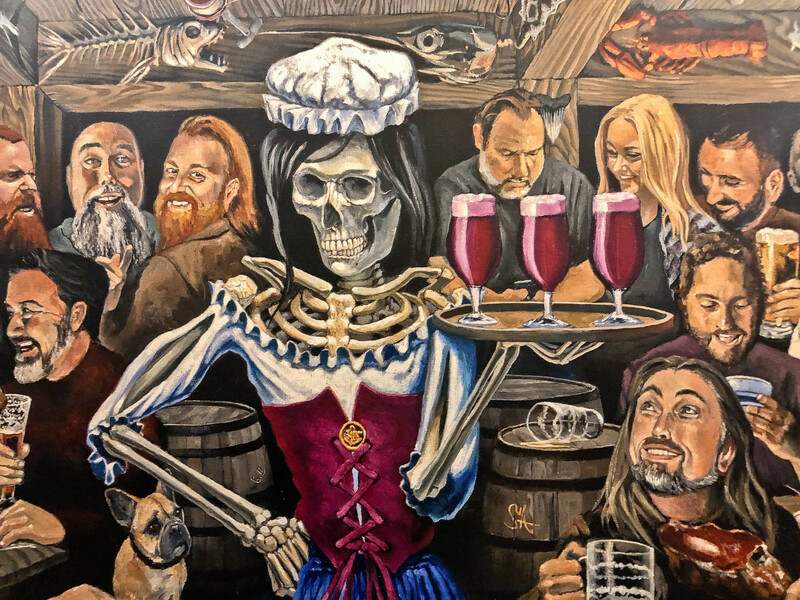 The experience includes a whopping 100 tap lines, customers can swipe their card once and move seamlessly between both floors and the gift shop. The scene is a building that was an old meat processing facility from 1908. A three-barrel system onsite will be supported by four-day fresh beer from the Virginia location. Cream Ale and aa Hazy IPA are scheduled to be first brews here. 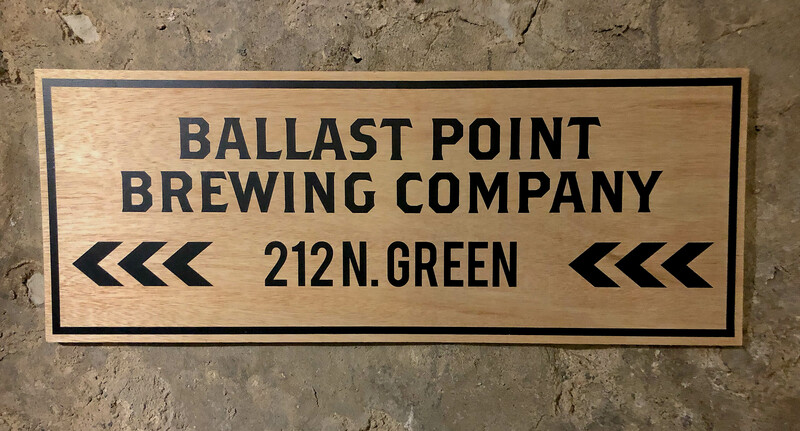 Of course Ballast Point began back in 1992 as Home Brew Mart. 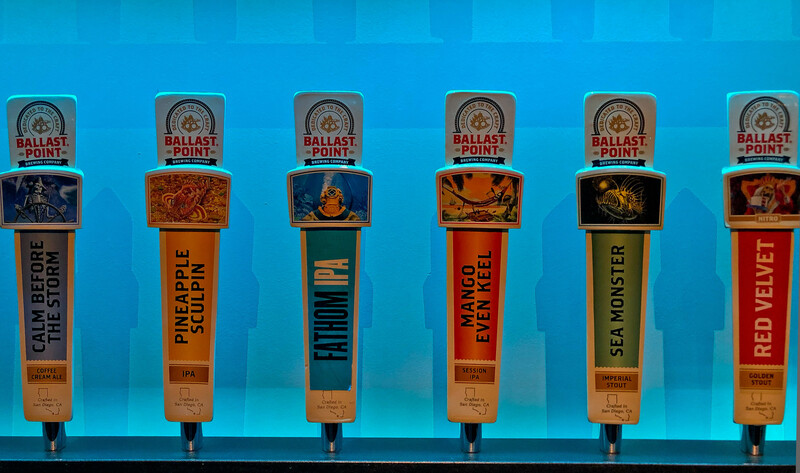 After maxing out ten credit cards and pulling together $50K from friends and family, Ballast Point Brewing was born in 1996. The business saw a real growth spurt just after winning 2010 Champion Small Brewery at World Beer Cup. Beers like Even Keel, Victory At Sea and Sculpin took annual production from 13,500bbls to about 400,000 bbls around that time. With the foundation securely in place they caught the eye of Chicago based Constellation Brands in 2015. The deal was worth a cool billion dollars. 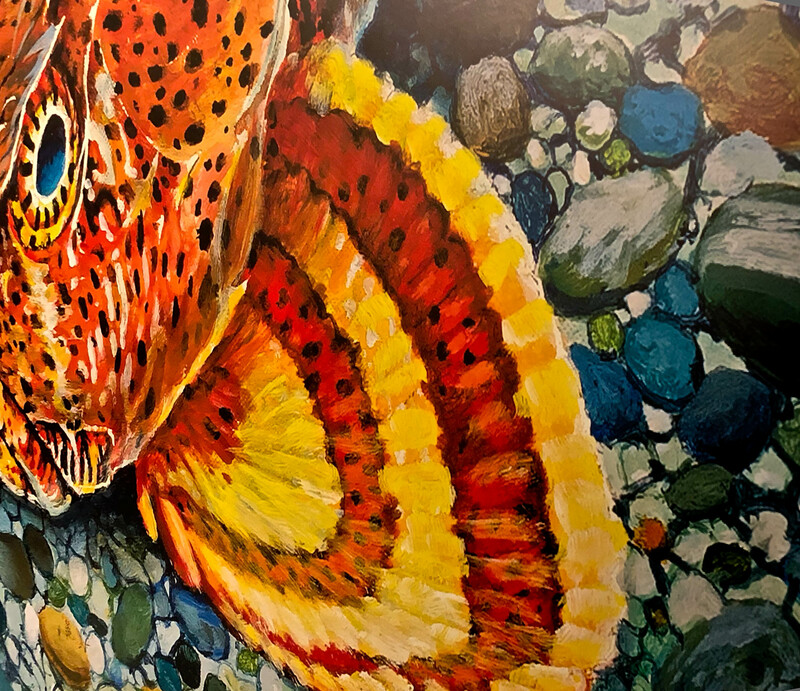 You can expect Victory At Sea Day and the annual Sculpin Day celebrations here. Last year 22 varieties of Victory at Sea were tapped for that event. To prep for their Grand Opening the crew held a series of sneak peeks for neighbors including the First Flight Beer Dinner we attended. 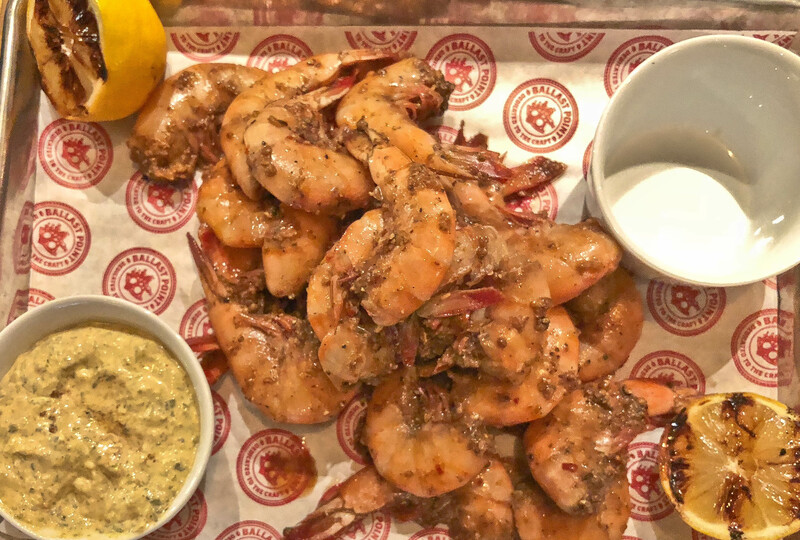 An executive chef oversees all locations, with on site chefs also creating their own recipes. Some of their approach has been to produce world class IPAs that are bright in clarity and drink like pale ales. Virginia Soft Shell Crab was overnighted for the preview. 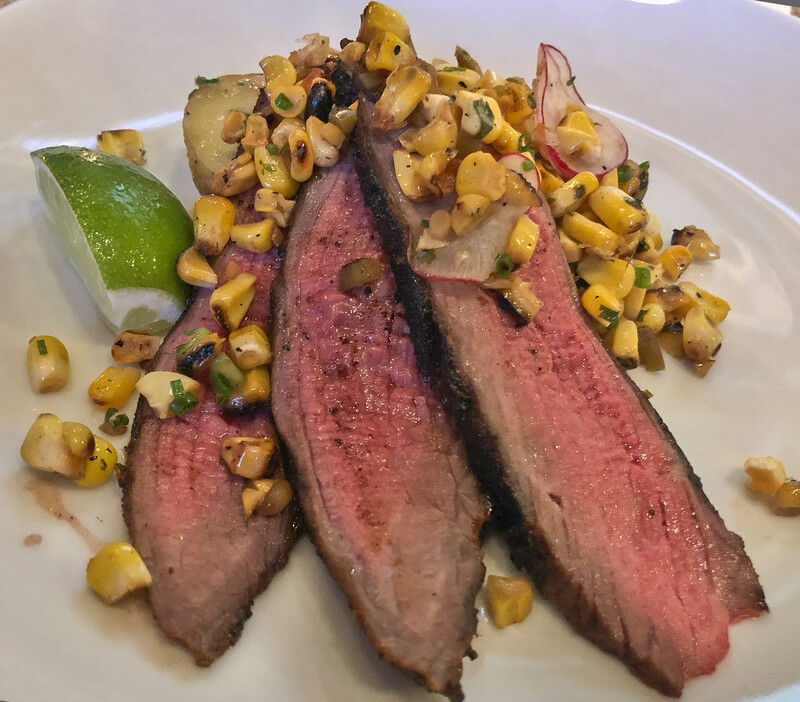 Showcase dishes like Santa Maria Tri Tip display how crystal malts in the beer match the caramelized sugars in the grilled steak rub crust. The alcohol and the obnoxious dry hopping create a contrast to that match. Their beers a sneaky good with food. The target has always been aroma forward beers with low bitterness. 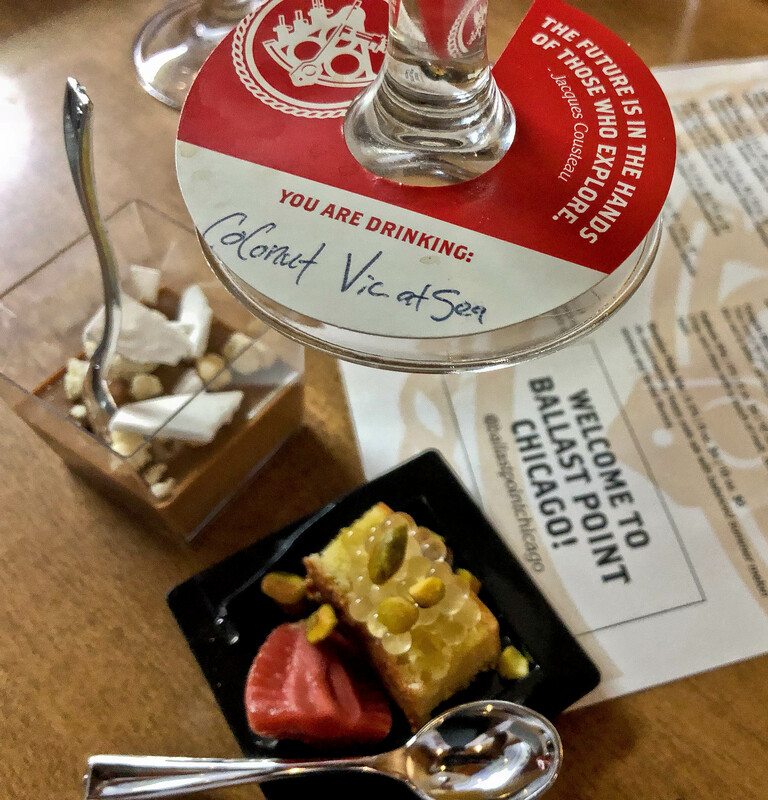 Ballast Point has landed in Fulton Market and it’s absolutely worth checking out. -An express elevator will run to the 5th floor rooftop. The indoor/outdoor lounge has 3 retractable garage doors and 700 sq. ft.
-The wall of 500 tap handles will rotate LED lights Sears Tower style depending on the occasion.